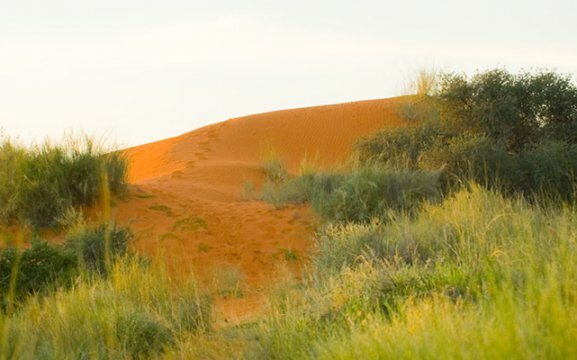 The Trans Kalahari Walk perfectly combines a comfortable stay at the lodge with exhausting but rewarding physical activities and camp-fire romanticism in the Kalahari dunes. 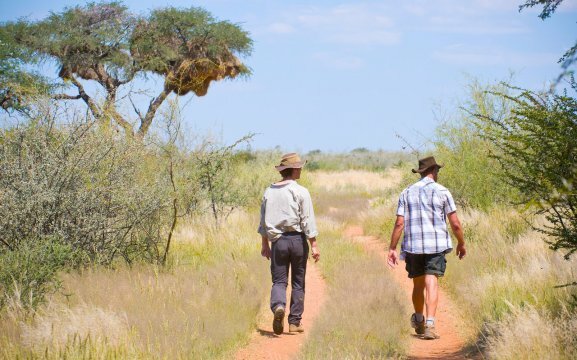 Guided hiking safari with a choice of two or three overnight stays. Arrival at Kalahari Red Dunes Lodge on day 1. Relax and watch the animals quench their thirst at the watering hole. 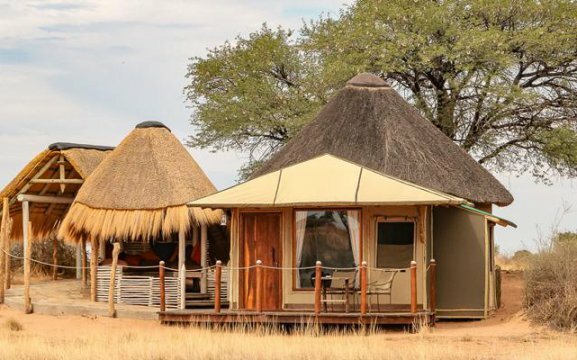 On the next day, you can enjoy the fascinating Kalahari sunrise while sipping freshly-brewed coffee. 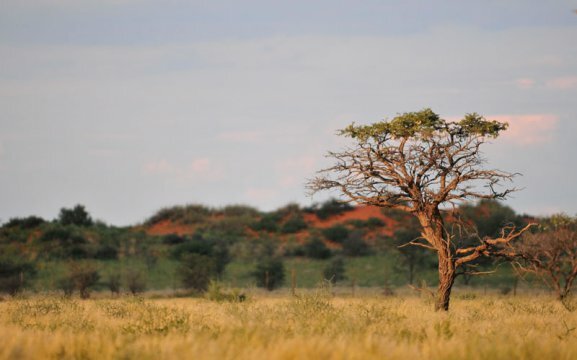 The morning hike leads through the red dunes and tree savannah of the Kalahari desert. 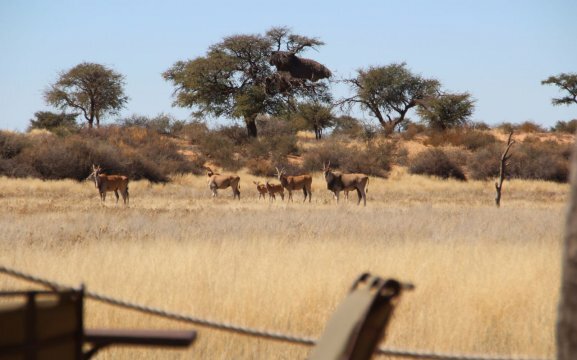 Good chances to spot oryx, giraffes and elands. We will climb red sand dunes and valleys. 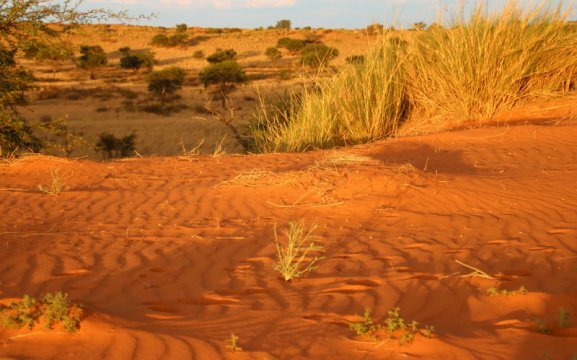 The second night will be spent in a luxurious camp on top of a red dune with a warming campfire and the sounds of the African Desert. 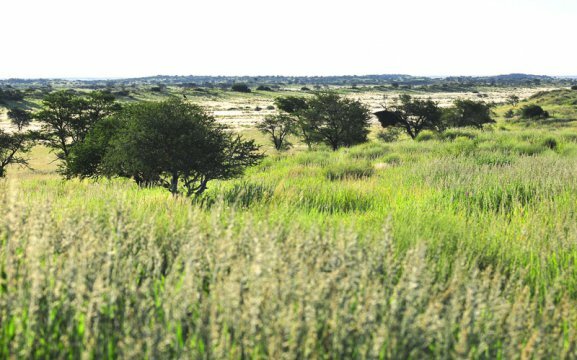 One the third day, you will hike through the typical grass and shrub savannah. Gnus, impalas and nyalas are very common to be spotted there. 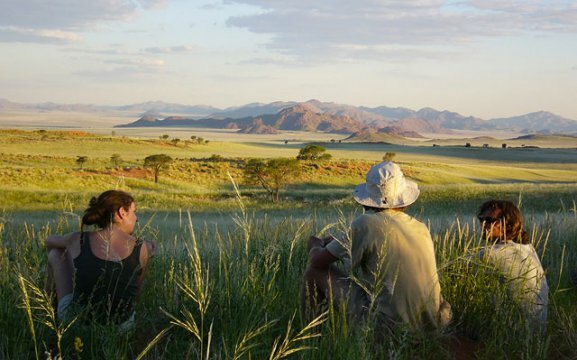 After breakfast, we hike to the Great Karoo, where you will see the beautiful and diverse landscapes and vegetation. Enjoy this intense nature experience!